We made a plan and decided to do nine courses. Courses just laughed at us. Even when we’d convinced them to participate, they didn’t believe we could do it. We played each course a few weeks before the attempt, just so we knew our way around. 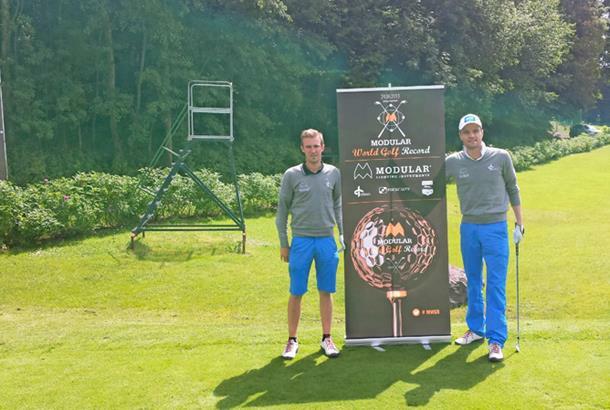 At Golfclub Solos Finkenstein, which held a Challenge Tour event a few weeks earlier, they said: ‘Sorry guys, it’s impossible to play this course in under an hour and a half’. We played it in 1hr 9mins. We started at 2.30am on one of the longest days of the year. We played that course in the dark with light-up golf balls. We had people there with flares and torches to give us landing spots to aim for. The world record rules state you have to carry your own bag, but we only had four clubs in there. It saves weight, but also saves time deciding which club to hit. I had a 6-iron, a 9-iron, a 54-degree wedge and a putter. You never want to hit it too far and travel further than you need to. 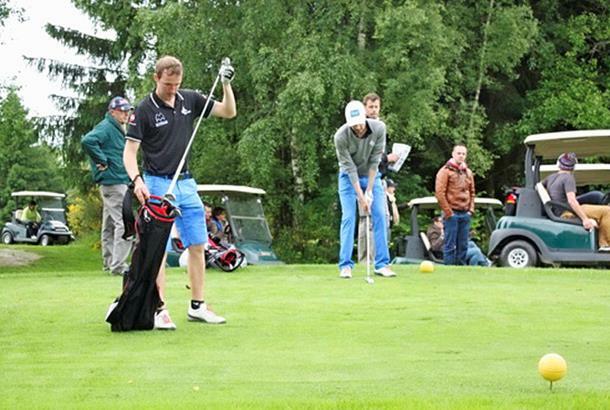 “My lowest score was a seven-over in Slovenia, which took 1hr 6mins. It proves that you don’t need all those clubs, and you can make a good score without paying much attention. We didn’t look at the line of the putt or anything like that – you don’t even take your bag off your shoulders! Our average scores were around 85. My handicap is two, Kasper’s was seven. We covered about 75 kilometres on foot, which was very physically challenging. We had to eat and drink on the way round; at one point we were eating spaghetti in a helicopter over Luxembourg, which was a strange experience. We had to skip the Czech Republic, because fog meant the helicopter wasn’t safe to fly there. We arrived in Damme at 11.45pm, so we had some time to spare. About 1,000 people watched us finish in the dark. We played that round in 1hr 45mins, which was quite slow by our standards, but we knew we were going to make it. Now we think 10 is possible. We wanted to finish at Damme, our home club, which is near the North Sea. 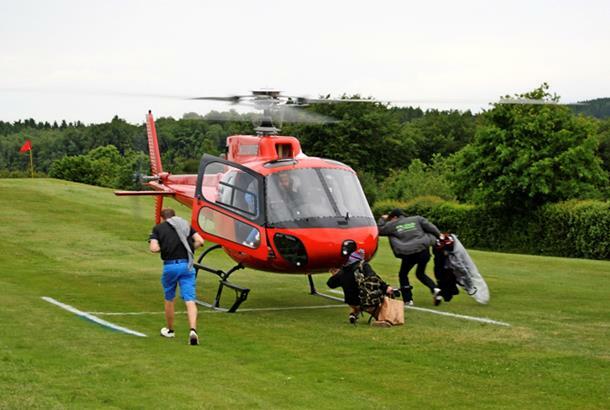 If you were trying to do 10, you’d play another course near the Belgian border. Some juniors from Damme are planning to beat our record and I’m going to help them, but I won’t do it again. The day was wonderful, something to tell the grandchildren, but the preparation took us a year. We have jobs! Are you obsessed with golf? Email us your story!